“With the forthcoming opening of the new US Embassy and the recent announcement of Apple moving its headquarters to the area, this gives further momentum to this remarkable place of regeneration. “This building sits prominently at the heart of Embassy Gardens overlooking the River Thames, Linear Park and US Embassy. We believe Penguin Random House is the ideal tenant given its strong brand and reputation. Penguin Random House plans to occupy 83,400 square feet across floors one to five of One Embassy Gardens with a dedicated reception and event space on the ground floor. The publisher will continue to occupy its existing office at 20 Vauxhall Bridge Road, Pimlico, a short walk away. 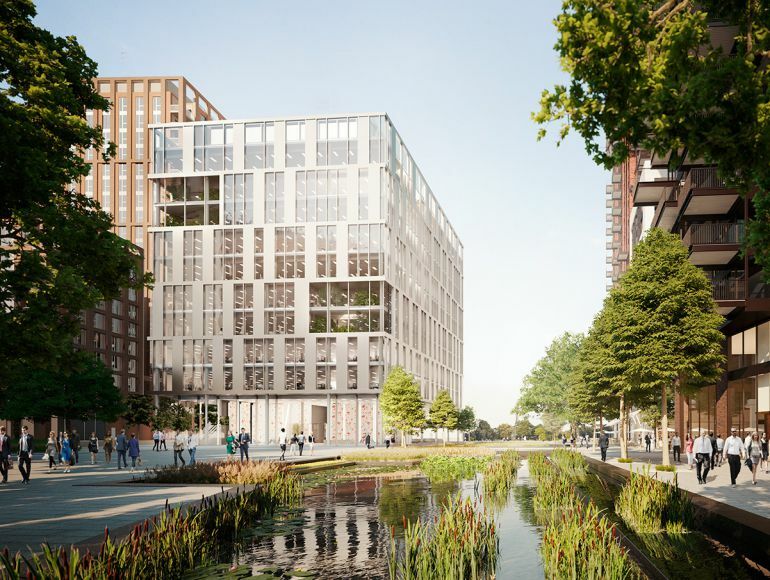 The company aims to move all its London employees into one of these two sites at the end of 2019, vacating its Ealing and 80 Strand offices. Both One Embassy Gardens and 20 Vauxhall Bridge Road will be home to a mix of Penguin Random House departments and CEO Tom Weldon, among others, will work at both offices.